Melbourne in the last decade of the millennium feels like a hard-boiled fiction or a noir film, with corruption in the air and on the ground. Six short stories and a novella circle the city's decay, spiral towards a thrilling conclusion and fuse into a new kind of crime fiction. Vignettes of desire and disappointment resonate through a city whose airwaves and waterways are blighted by a toxic conglomerate, whose supermarkets and convenience stores are staked out by a killer, whose nights pulse with analogue television and staticky videotape, and whose past and future meet at the Flamingo Gate apartments. 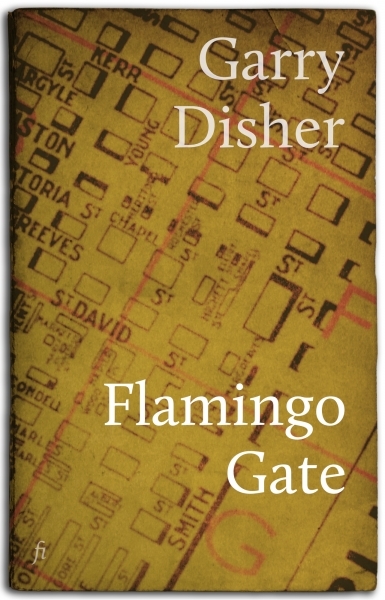 The Melbourne Age described Garry Disher as ‘the best short story writer in the country,’ and Flamingo Gate sees him focusing these talents and taking them deeper and darker. Featuring the short stories ‘Vapour’, ‘Airship’, ‘Therapy’, ‘Syndrome’, ‘Early Warning’ and ‘Greektown’ and the novella Flamingo Gate. Two of these stories are also available in Straight, Bent & Barbara Vine, and both collections can be purchased together.